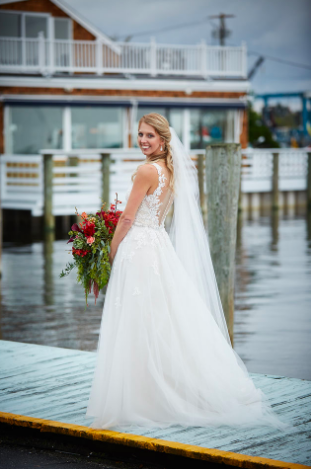 Experience at Bridal Reflections: My experience at Bridal Reflections was tremendously positive. Right from the moment I walked in I felt like my happiness and enjoyment was of the utmost importance. I was welcomed to look at some of the racks of dresses, encouraged to take my time in each dress, and try some on a second time should I like to. 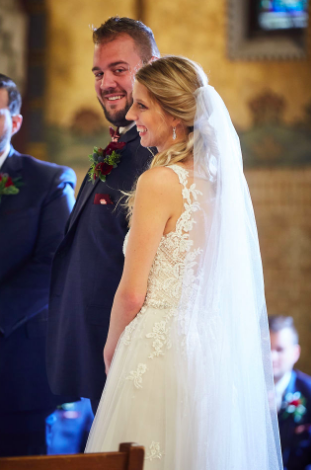 When I finally found a dress I loved and was hesitant about my interest in adding sleeves they brought knowledgeable staff and sample lace, pinning a sleeve to truly help me envision the dress in its complete form. The staff was supportive when I wanted to Facetime my sister and mother-in-law in on the shopping experience and patient as I made my final choice. They walked me through the purchasing and fitting process (with several shoe mishaps!) with great clarity and precision. Everyone I encountered was the consummate professional. I cannot thank Bridal Reflections enough for making what can be a stressful process so comfortable. 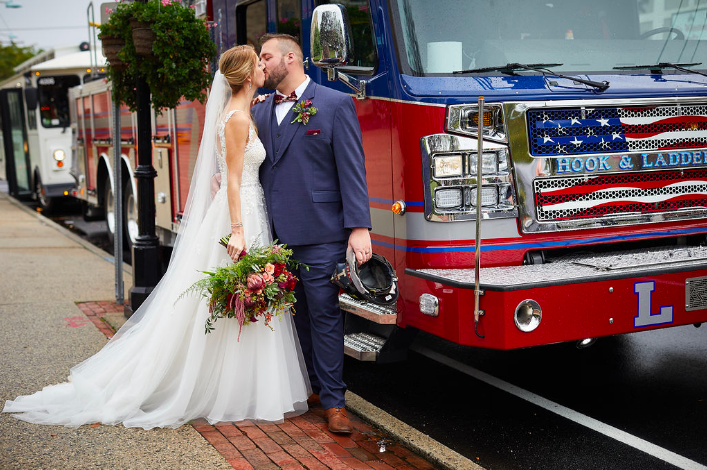 With their help I ended up feeling phenomenal on my wedding day!